Cleveland middle-weight prospect Eduardo Alicea (4-0, 3 KO’s) is wasting no time getting into the ring in 2014, taking on Killeen, Tx’s Jas Phipps (4-1, 1 KO) this Friday, January 10th from the Emerald Queen Casino in Tacoma, Washington. The event is being televised live on ESPN2 as a part of the “Friday Night Fights” boxing series. Alicea’s bout, while not the main event of the attraction has a chance to make it on TV, provided the scheduled TV matches end early. Alicea is a former United States Junior Olympic National amateur boxing champion that represented America in the Cadet games in Azerbaijan in 2007. He had a reported amateur record of 143-16! 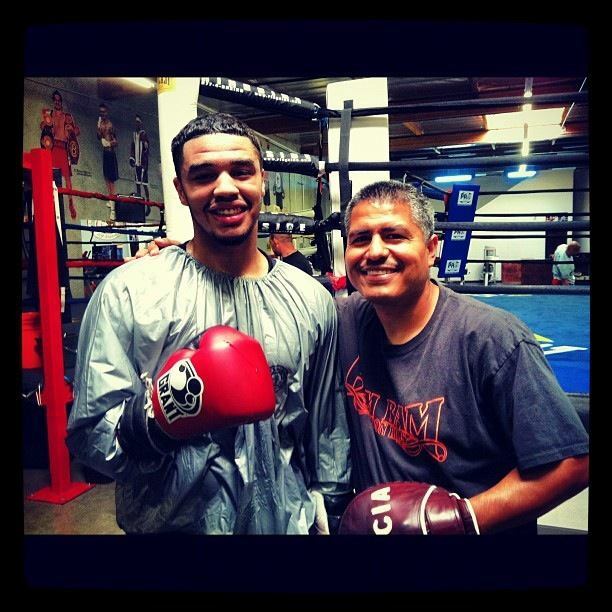 Training in Oxnard, California under the tutelage of one of the fight games best trainers, Robert Garcia, should help the 23 year old advance up the professional rankings. Alicea was sharp in his last bout, in November, scoring a second round KO over Jake Constant in Missouri. While his previous four opponents entered with a combined record of 1-4-1, Phipps will enter as a much needed step up in completion to see where he stands as a professional. The combined record’s of Phipps five opponents when he faced them was a well respected 16-1. He’s faced three undefeated fighters, only losing once, that was his last time out when he was stopped in the fifth round last July against Ronald Gavril, who is currently 7-0. Despite Phipps entering the bout with not only the same amount of wins, but better quality wins, Alicea doesn’t seem fazed by his opponent. “He’s a southpaw, that’s all I really know,” Alicea said. what you’re used to seeing in the gym. With Alicea’s vast amateur experience, there shouldn’t be anything that Phipps brings into the ring, that Alicea hasn’t seen before. With this being just his fifth professional fight, despite turning pro nearly two years ago, Alicea knows he has to start advancing his career in order to become a bonafide contender. “My goal is to be at least 12-0 by the end of the year,” stated Alicea. Based on his skill set, there’s no reason to not believe that the Cleveland based prospect can achieve that goal.